Meet the Owner of DSK Tactical | DSK Tactical, LLC. Dan Sullivan, of DSK Tactical, was born and raised in Arizona. 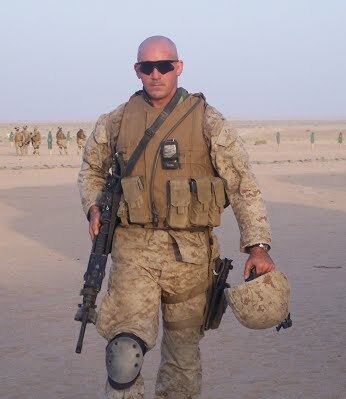 After 9/11, Dan joined the Marine Corps, a lifelong goal and desire. After graduation from boot camp, Dan went through the School of Infantry and became a 0311, rifleman. During his time in the Marine Corps, he deployed to Iraq and many other countries. With his service complete he left the Marine Corps to pursue other desires directly related to his service. He began to learn the trade of Blacksmithing, as knives and weaponry have always captured and intrigued him. Knifemaking is not just a business for Dan, he treats it as a pursuit to honor those he has served with and those who have given their lives in service. At times Dan has described this work as therapeutic. His long term goals with his craft are to equip knife enthusiasts with custom knives that are functional, tactical and distinctive, and as tough as the individuals who carry them.